So, it's officially March, which can only mean one thing: Spring is on it's way. It's still freezing in London, but the days are getting slightly longer, which is a very good sign. I have a jam packed edition of Sunday Stuff to, hopefully, keep you going for a while this Sunday. We all know how much an impact technology is having in the fashion world. With a variety of different apps and lots of brands using them, they are everywhere. Capulet London is a London-based label that specifically makes luxury leather technology cases for women. The cases are both stylish and classic and are a must have for any woman with an iPad, laptop, kindle etc. The products are hand-crafted in Andalucia, in Spain, butskilled leather artisans and each product is made with a lot of attention to detail. Everything is very sophisticated and will look great when you're out and about. Iconic British brand, Henri Lloyd have also launched their Woman SS11 Collection, which is heavily influenced from 1960's Nautical fashion. It's a classic, yet very modern collection. The designs are simple and fresh, with a lot of blue's, reds, yellows and greens. The collection is definitely really relaxed, funtional and free-spirited. There are a lot of washed out denims, feminine prints and fadded tones of coral, which will all look amazing in the summer. Items include a belted trench, fitted jackets, cropped trousers (my favourite) and lots of nautical stripes. I've also recently discovered a very stylish new band (I love it when fashion and music collide). They're called Thomas Tantrum and have an amazing image. Frontwoman, Megan Thomas, has a fantastic and very quirky style. They've already gained a name for themselves, after being featured on NME and XFM, and have worked with Ash Howes, who's has produced with the likes of Plan B and Ellie Goulding. 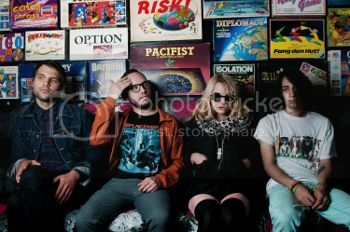 They've just come out with their new single, Sleep, which is out 27th March, and it's accompanied by a very cool video. Thesong is very upbeat and infection, perfect for this weather! They're currently in the studio, recording their new album, due for release this summer and is predicted to be a treat. In the meantime, you can download their Birdsong EP. They'll be playing a free gig on March 10th at The Old Queen's Head, are squeezing in a tour with Band of Skulls, and have a few festival appearances lined up. Check out their myspace and twitter, and check back as I'll be getting an interview with them, as well as reviewing the new single. I've also recently discovered a campaign that is very close to my heart: diversity among models. 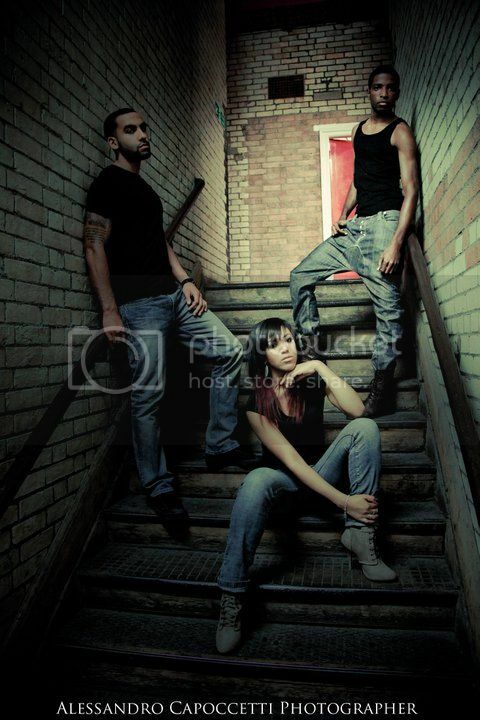 London based campaign, Models of Diversity, aims to advocate more diversity withing the modelling industry. They work closely with modelling agency, Sinclair Management, and focus on Plus/Petite size models, ethnic models and models with disabilities. They want equality for under representated groups as well as healthy models from diverse backgrounds, which normal people can identify with. The Ambassadors for Models of Colour are Leonie Sherif and Matt Ivey and concentrate on Models of Ethnic origin, so black, oriental, mixed race, asian and so on. Their slogan 'Colouring the Industry' is self-explanatory, yet effective. They want to break down barriers and open the doors, so that more models of colour are recognised within the modelling industry They used an Italian Vogue photographer, Alessandro Cappeccetti, who flew in to shot the models in Black and White. Don't forget to join their Facebook page. Glamour Magazine are also celebrating their 10th Anniversary and to tie in with this, they are collaborating with Krispy Kremes, to create lip gloss inspired doughnuts. I have a huge sweet tooth and have been known to eat half a dozen Krispy Kremes at a time, so I'm very excited for this. The Glamour Glaze is based on the Original Glazed and is finished in shades of hot pink and purple (strawberry and blackcurrent). The doughnuts are available across all Krispy Kremes stores, until early April, and will cost £1.35. Another charitable cause for this month is the Red Pump Roject. The aim of the project is to raise awareness about the impact of HIV/AIDS on women and girls, through education and open dialogue. The red shoe is a symbol of empowerment to represent the strength and courage of women affected by the disease. Every year, the US recognises the 10th March as the National Women and Girls HIV/AIDS Awareness Day. Although it's American, I'm bringing this over to the UK as well and hoping that this post will spread awarness worldwide. For this day, the Red Pump Project is asking bloggers to take part in the Rock the Red Pump campaign. Last year 250 bloggers took part through blogging, twitter and facebook, and this year, they're hoping to get 500. You can sign up for the project hereand don't forget to show your support by Rocking the Red Pump on the 10th March 2011. I recently discovered Girl Meets Dress, which is a UK designer dress rental destination. Basically, you can have your dream dress, for any special occasion, without breaking the bank and buying a new dress. We all know celebrities and fashion shoots borrow expensive clothing, so why not everyday people like ourselves? The site has collections from over 100 designers, such as Marc Jacobs and Chloe. Once in your shopping bag, you can select the amount of nights you'd like the dress (2 or 7), and you can have the dress delivered on any days you want. If you're in London, next day/same day delivery is available for emergencies. Once you're done, you can just send it back in the pre-paid envelope, and you're done. Girl Meets Dress takes care of everything else. Rachel let me know about an amazing promotion Diet Coke and ASOS are running, with Diet Coke's limited edition 'kiss cans'. You can win money off ASOs with every can. All you have to do is check under the ringpull, to see how much you've won. You can win vouchers worth £5, £10, £20 or even £100 worth in vouchers. They're also running a Street Style Star competition, to uncover some of Britains most inspiring styles. All you have to do is strike a pose and upload your picture here, and this will run until 4th April. There'll then be regional shortlists, where you'll be able to vote and be in the chance of winning £1000 to spend at ASOS. This season, Victorinox have teamed up with UK designer, Christopher Raeburn, to create some great, ethically aware, pieces. Raeburn is know for creating ethically aware collections, from military fabrics. His pieces are usually fun and intelligent, and his designs are 'Remade in England', in East London. Raeburn initially came across Victorinox (who create the Swiss Army Knife) when he visited the factory in Switzerland to pick up fabrics and inspiration. He took apart the clothes and found inspiration in creating new pieces from what he had. He created 8 pieces for the capsule collection, each one to be produced in a limited edition of 100 pieces. 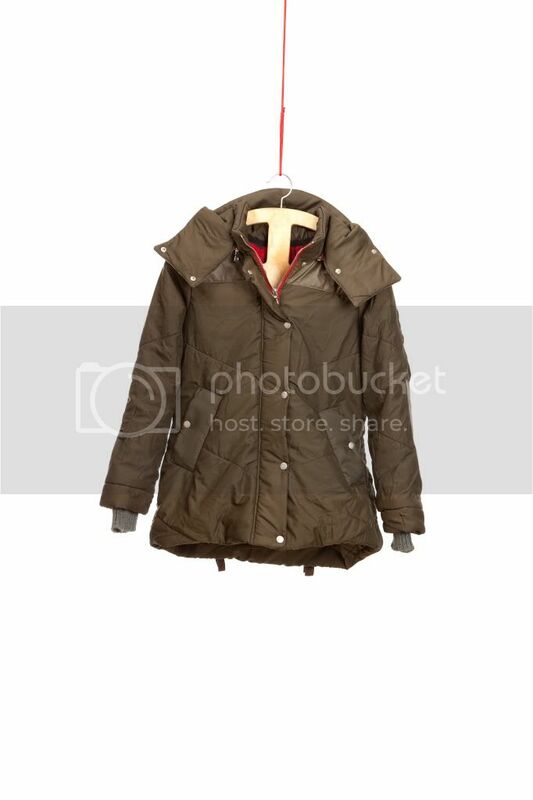 The Officers Parka and Cocoon Blouson are both my personal favourites. 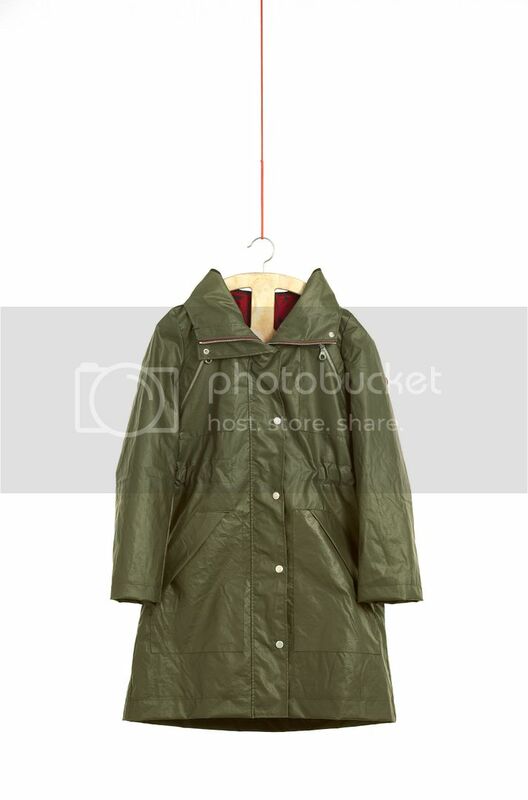 The Parka was make from military sleeping bag outers and 2 front chest pockets. The Blouson was made from sleep bags as well and can be roll packed as well. I've recently started writing for an online music magazine, Riot Magazine, so be sure to check out my contributions every now and then. Finally, Claire from Jazzpad is helping to organise a fundraiser for Breakthrough Breast Cancer. She's looking for people to donate unwanted items for the fundraiser. I know I have a lot lying around, and I'm due a spring clean, so I'll be donating. Check out her post for more information. Phew, I think we're done! Enjoy the rest of your Sunday! would love to take part in 'Rock the Red pump' but I don't have any red shoes! Phew indeed! haha! Sherin that's some excessive research you've done there! :) DOOOONUTS DOONUTS! I cannot wait to get mine and nom nom get fat haha! i think i might check out girl meets dress...see if there's anything suitable for prom wear ahaha! I would love one of those cases for my laptop. Also, I love the Krispy Kremes they look so pretty. My local Krispy Kreme just shut down which is sad. Great post! Checking out the asos comp, have ordered red shoes, hope they arrive in time! I'm goin to check the band out and those sites just for fun (evn though i cannot buy frm them) .. I made my day buy me 16 cans of diet coke yesterday, now I want to drink it all at once for the ringpulls! Those leather clutchers of Capulet London are so gorgeous.I´m kinda missing Krispy Kremee,it´s been years since I´ve one! OMG. Amazing post. Great picks, love. I'm following, I hope you'll follow back. For multiple reports a day mon-fri.
Wow thanks for sharing all of this. I am particularly interested in the Victorinox / CHristopher raeburn colab and will be checking this out. I spotted those Glamour Krispy Creme donuts when I was in London last week they look delicious. Oh wow, so many things to check out! Girl Meets Dress sounds really amazing, and those doughnuts are the most fashionable doughnuts I've seen! All these amazing clothes just make me want spring to come so so badly!!! wow - a lot of great stuff in this post! 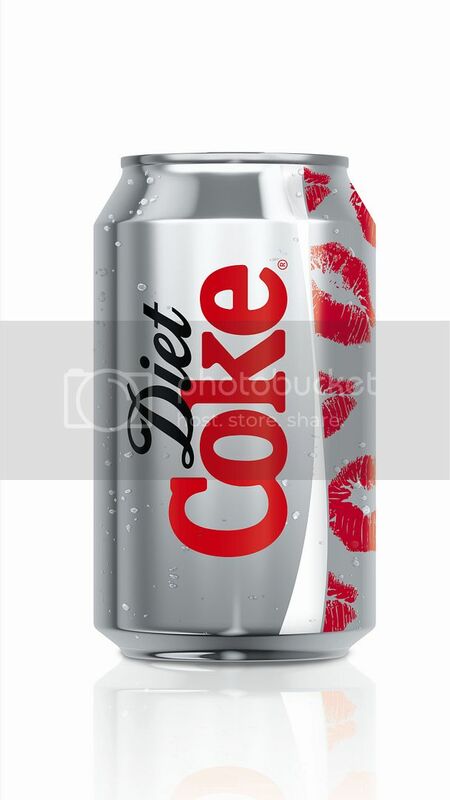 love the kiss cocoa cola can and all of the new sites you mentioned! 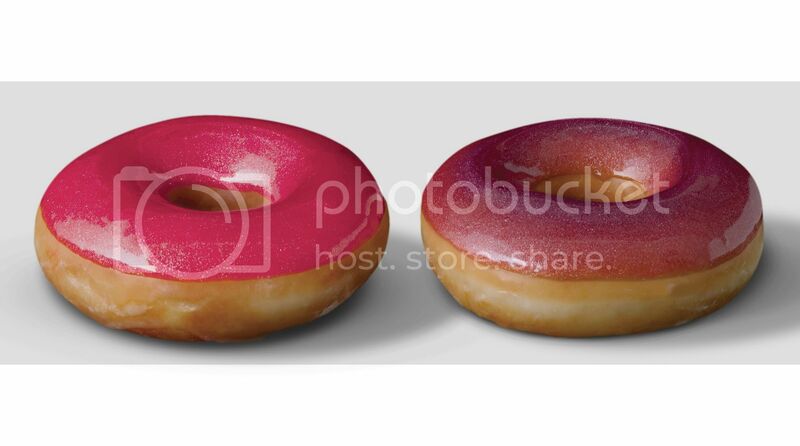 also, can't wait to try one of those lip gloss krispy cream donuts, looks delish!